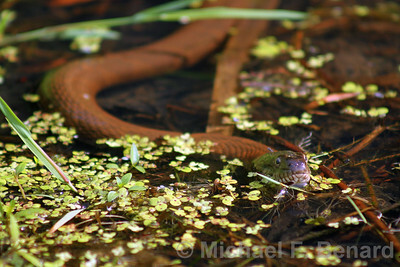 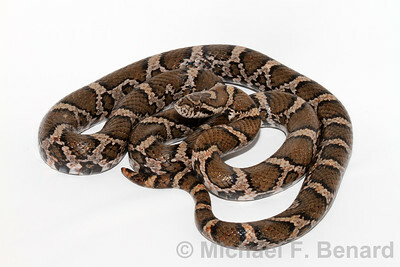 A Northern Water Snake cruises through a pond looking for frogs to eat. 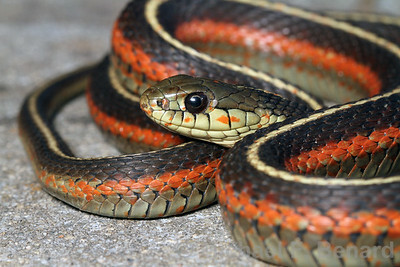 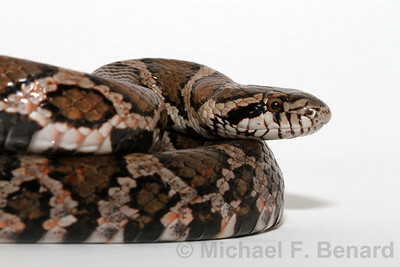 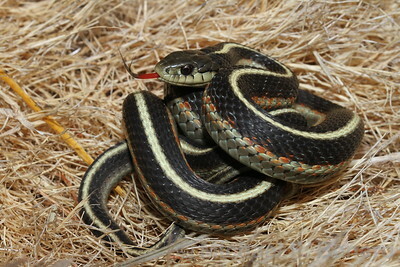 Coast Gartersnake showing off the beatiful orange-red stripe and speckling pattern. 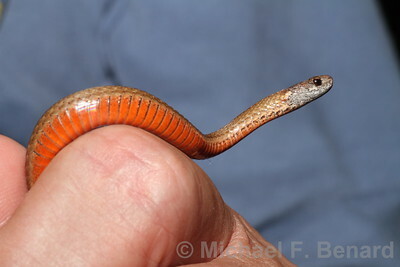 This small Red Bellied snake was found under a large rock in Allegany County, New York. 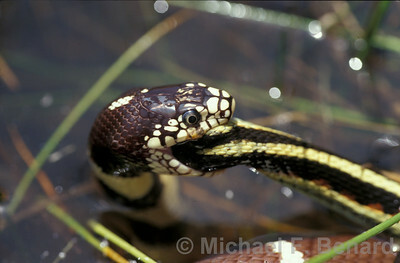 I have also found Ringneck Snakes under the same log. 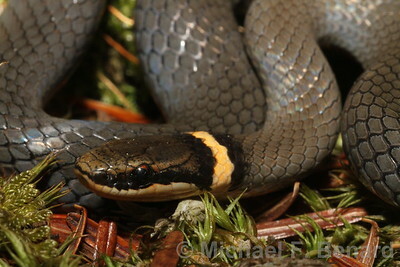 This Northern Ringneck Snake was found under a large, flat rock in Allegany County, NY. 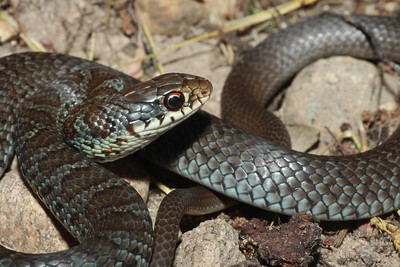 The favorite prey of Northern Ringneck Snakes appears to be salamanders and earthworms. 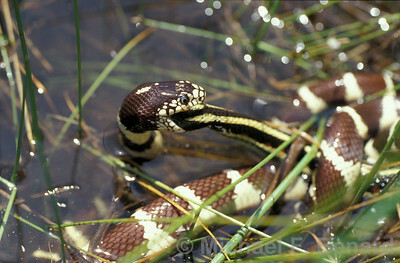 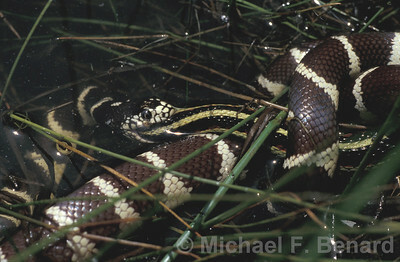 This California Kingsnake captured a Garter Snake on the edge of a pond, and ate it while sitting in the water. 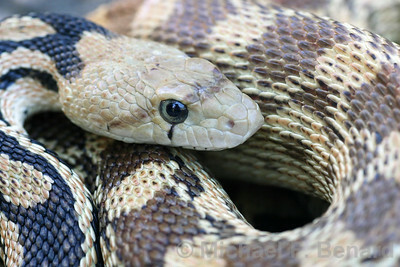 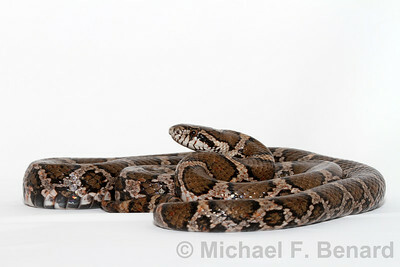 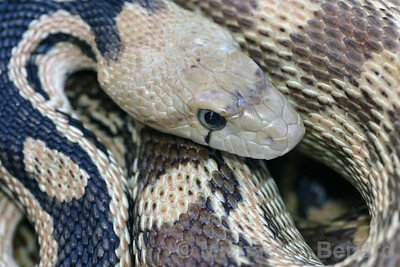 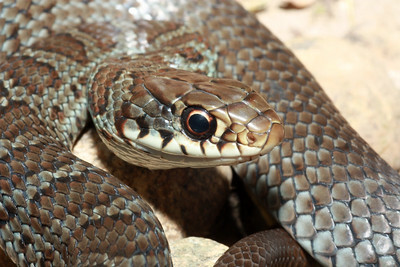 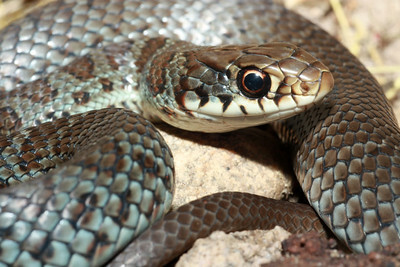 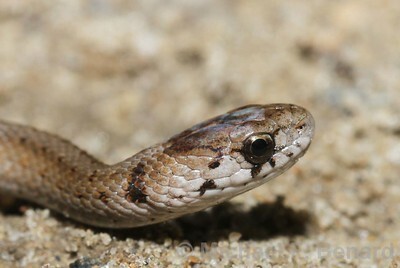 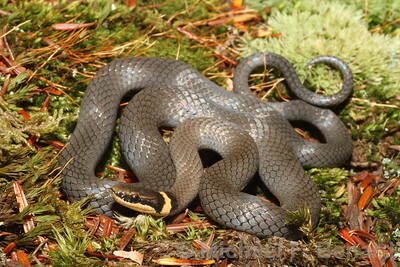 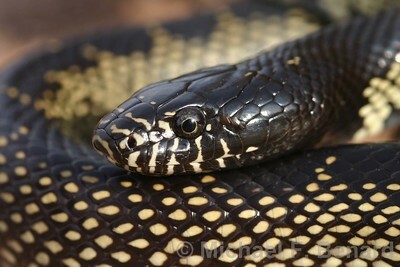 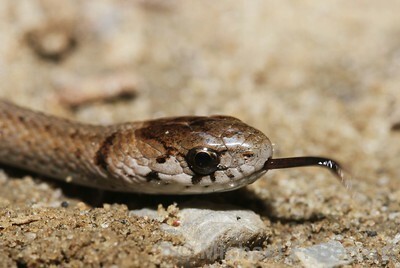 Close-up view showing the side profile of a DeKay's Brown Snake head. 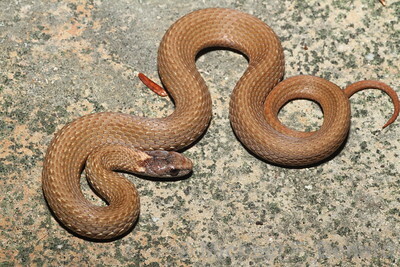 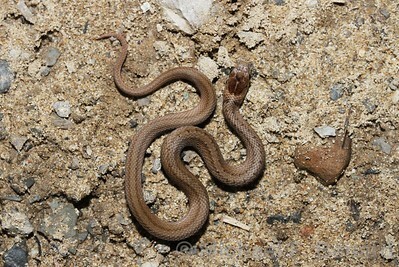 Brown Snake next to a coin. 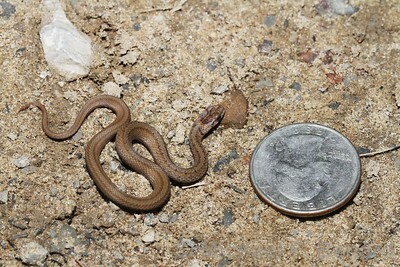 A young Brown Snake (Storeria dekayi) next to a quarter for scale. 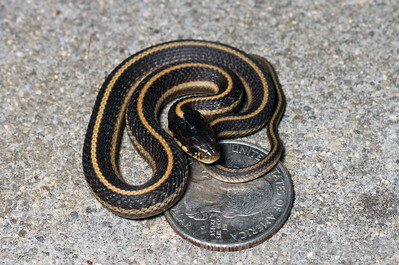 A juvenile Coast Garter Snake (Thamnophis elegans terrestris) poses next to a quarter for scale.